Nabisco workers rally outside of the Nabisco plant on South Kedzie to protest the outsourcing of hundreds of jobs to Mexico on February 21. Employees at the Nabisco plant on Chicago’s Southwest Side face an uncertain future as the company hands out pink slips and starts moving parts of its operations to Mexico. Parent company Mondelez International announced earlier this summer that it was eliminating 600 jobs from the factory at 7300 S. Kedzie Avenue, one of the world’s largest industrial bakeries. The jobs are headed to Salinas, Mexico, where the company plans to invest $130 million to upgrade a facility there. The Deerfield, Ill.-based company, which makes Chips Ahoy cookies, Wheat Thins crackers and Oreo Cookies, plans to slash the factory’s 1,200-employee workforce by half. Last month it handed out pink slips to 277 workers. Titus Banks, 53, was one of them. The company’s move to outsource jobs to low-wage paying countries like Mexico is not uncommon for Chicago’s shrinking manufacturing industry. Between 2001 and 2014, the number of people employed in Chicago manufacturing jobs shrank by nearly half, state data shows. In addition, manufacturing jobs have moved from Chicago to the suburbs, making them increasingly inaccessible to people living in the city. The impact of those job losses have hit African-Americans especially hard. Last September the Chicago Reporter examined how manufacturing jobs, such as those at Nabisco, allowed many African-Americans to enjoy a middle-class life. During the Great Migration millions of Blacks fled the rural South seeking better jobs and better pay in the industrialized North. Sabrina Pope, whose family has worked at Nabisco for generations, was one of those waiting last summer to find out if she still had a job. She’s still in limbo. Retirement is not an option for Pope, 58, who doesn’t yet qualify for full Social Security retirement benefits. She and her husband have a son in high school who wants to become a doctor, and they take care of her elderly mother. Living on one income is a scary proposition. “I can’t see it with just one check coming in,” said Pope, a processor and baker who has worked at the plant for 35 years. As uncertainty looms for Banks and other Nabisco workers, the union representing them is fighting back. In January, the Bakery, Confectionery, Tobacco Workers & Grain Millers Union Local 300, filed a federal lawsuit and an Equal Employment Opportunity Commission complaint against Mondelez to stop the layoffs. A spokesman for BCTGM Local 300, the largest of three unions at the Chicago Lawn plant, said Mondelez’s actions target the plant’s large minority and older workforce, which is discriminatory and a violation of its collective bargaining agreements. The bakers’ union represents nearly 900 members, of which more than half are minorities and 86 percent are over 40. The EEOC complaint alleges the company is forcing union members to pay for capital improvements, something not asked of workers at other Mondelez plants. “Our contention is they dealt with Chicago differently because they want to downsize [the Chicago Lawn factory] based on demographics and its racial makeup,” said Ron Baker, strategic campaign coordinator for the International BCTGM Union. A spokesperson for Mondelez denied that the company is discriminating and said the complaint is without merit. “We do not comment on pending litigation, but we will certainly defend against BCTGM Local 300’s allegations both in the federal court action and in the EEOC complaint,” said Laurie Guzzinati, Mondelez’s senior director of corporate and government affairs. Last year Mondelez announced that moving some operations to Mexico would save the company $46 million a year. In talks with the company, Baker said union members were asked to match that price difference in contractual givebacks in order to keep their jobs. Mondelez reported more than $29 billion in profits last year. He called it unreasonable for union members to pick up any costs since Mondelez has paid for capital investments such as new technology and equipment like “super ovens” at its plants in Fair Lawn, New Jersey and Richmond, Virginia. Matching that savings, would amount to 60 percent of union members’ wages and benefits, Baker said. 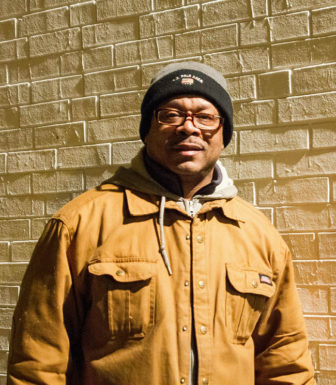 Titus Banks hoped to work at the Nabisco factory until retirement and collect a pension. He received a pink slip in January. Pope is not the only one who could be affected by the layoffs. At least five relatives work at the plant, including Pope’s 57-year-old sister, who has 35 years on the job. Pope’s 36th anniversary at the factory is approaching in July. Employment at Nabisco helped many of her relatives attain a middle-class lifestyle, including her mother, Minnie Pope, who was able to buy a two-flat apartment building in North Lawndale and raise eight boys and girls. She retired from Nabisco after 46 years. Banks, who still owes half of the mortgage on his Brainerd home, was laid off from his job at a bank in 2011. La Risa is a reporter for The Chicago Reporter. Email her at llynch@chicagoreporter.com and follow her on Twitter @larisa_lynch. Higher incomes and education levels can only take blacks so far up the social ladder, a new study on racial disparities in Chicago shows. Black middle-class families are drawn to South Side neighborhoods like Kenwood, but the city’s long history of segregation casts a shadow on their quality of life. 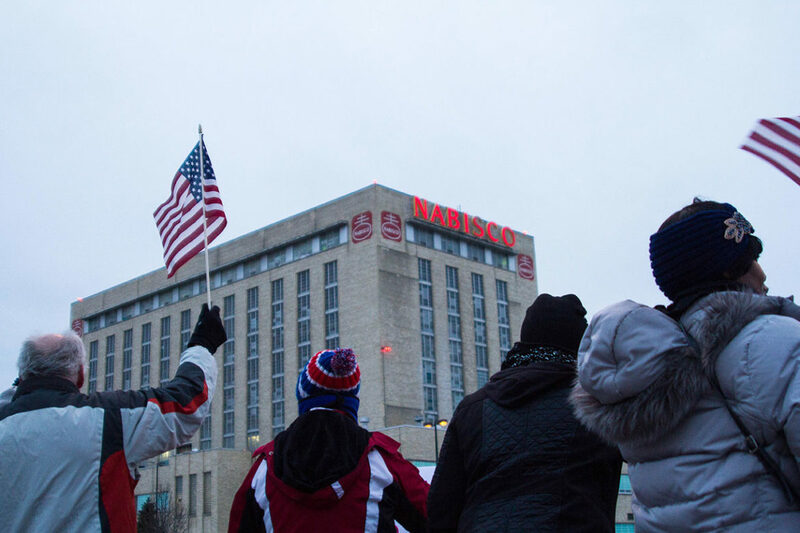 The Nabisco bakery on Chicago’s South West Side is eliminating jobs and moving them to a facility in Mexico, part of a continuing trend of the loss of blue collar jobs in the city. Many of the employees at the facility are African-American. How much you want to bet that the taxation in Chicago, IL was a major factor in this decision? Yeah, corporate greed has nothing to do with it. How’s a poor CEO supposed to get by on just tens of millions per year?